Sometimes it’s necessary to view test result of related test cases in scope of specific executions. 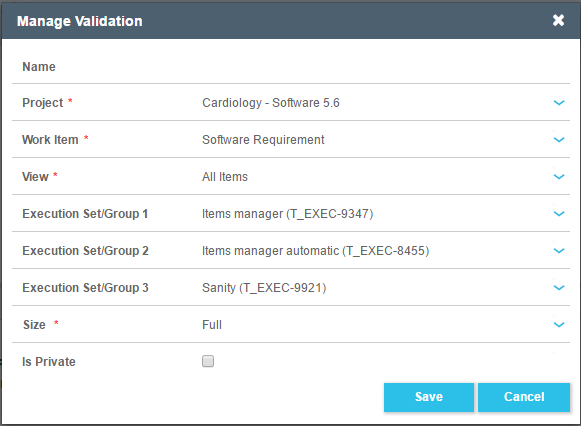 The Validation dashboard panel allows to view verification status (pass, fail, etc.) of specific items. Work Item – the work item you want to check verification for. For example, if you select software requirement work item, the system will show the related test cases results in the selected execution sets. View – filter of the work item you have selected. Note: You can include any fields you want in the final report, such as Status, Assign to, Trace items, etc.